Some people struggle to admit it, but the red sausage element is everyone's favourite part. I mean, just look at it - it's so simple, but just like a real sausage, it brings endless joy. So without further ado, let's delve into some obscure sausage facts! 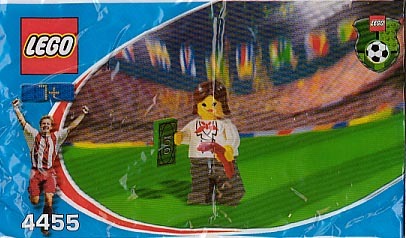 The highest ratio of sausages to parts can be found in #4455 Hotdog Girl, which is a polybag from the 2002 World Cup. There are only 6 parts in this polybag, and one of them is a sausage, so this set is literally more than 16% sausage. Lucky girl. The set builds a girl holding a sausage and some money. 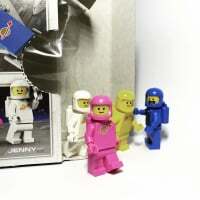 If it weren't for the title of this set, I'd have to wonder what on Earth is going on there. 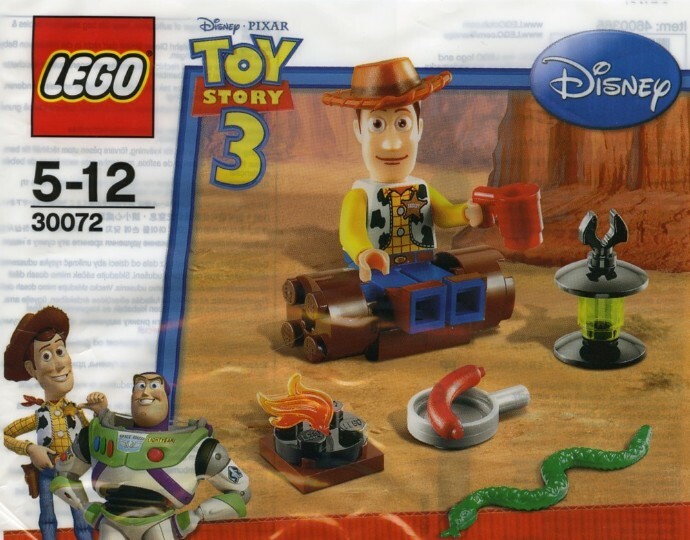 The next highest ratio can be found in another polybag, #30072 Woody's Camp Out. Obviously, no camp out is complete without a helping of sausage, and one of the 18 parts is just that. The largest set to contain a sausage is #71006 The Simpsons House. Although this contains a total of 3 sausages, the sausage factor is diluted to only 0.12% by virtue of the huge number of other parts. #71016 Kwik-E-Mart contains the largest number of sausages (a total of 4!). They can be found in the most obvious location - inside the hot dog machine. But this is where it gets interesting: Nobody knows why there is a sausage in #75014 Battle of Hoth. 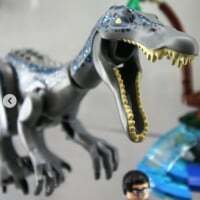 It is hidden away in a box, and the set's description suggests it might be a weapon or a tool rather than an item of food: "Accessories include shovel, pickaxe and a sausage". I urge you not to think too long and hard about why there is a sausage in the Battle of Hoth, as it has a tendency to bring out some of the wurst puns. #79003 An Unexpected Gathering gets an honourable mention for including a sausage and an accompanying pair of red cherries. Hmm, I don't know why I thought this should deserve an honourable mention now. Anyway, it also contains a pair of carrots if you want a different kind of meat and two veg. Two different Lego City advent calendars have included sausages. No other advent calendar has ever contained one - not even the Star Wars ones, which further adds to the mystery of how a poor defenceless sausage managed to stray into the Battle of Hoth. 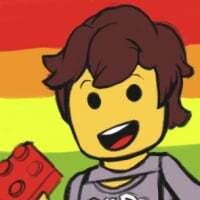 The first advent sausage appeared in the 2010 version of the Lego City calendar (#2824), but the 2013 calendar (#60024) contained two sausages! One of them is pictured being held by a fireman, who is holding a fire extinguisher in his other hand. Clearly it must be some kind of special extra spicy sausage. The first set to contain a sausage (a pair of them, in fact) was a Scala themed set from 2000: #3150 Puppy Playground. If this sausage were a person, it would almost be old enough to vote in some countries. If this sausage were not a person, it would just be a sausage. The classic red sausage element has only been seen in the wild in two different colours. The 2004 Belville set, #5940 Doll House, contained three nougat coloured sausages. It was never used in any other set, and I still can't think why it was immediately dickontinued. A pair of black sausages appeared in a single Atlantis set in 2011: #7984 Deep Sea Raider. Rather than representing a burnt sausage (which, let's face it, would actually be quite realistic for the many sets containing barbecues), the two sausages actually serve a functional purpose: they form the curved arm that protects the raider's glass cockpit from being damaged. I'm all worn out from thinking too much about sausages now. What other obscure sausage facts have I missed out?! The first set to contain a sausage (a pair of them, in fact) was a Scala themed set from 2000: #3150 Puppy Playground. Three Scala sets from 1998 had sausages - #3110, #3115 and #3205. Half a dozen sets had nougat sausages - including #4462 which had a red one as well. It was around for at least five years. Most interesting use of the sausage: eyebrows. 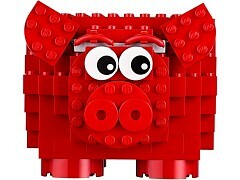 Red sausages are available in 2016 LUGBULK, so expect to see some awesome sausage MOCs next year. Was there not also a sausage hidden on the floor beside the counter in the Kwik-E-Mart? Nougat sausage is very confusing to me. 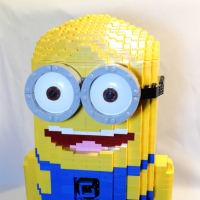 Well there we go then, I did wonder whether the Brickset database might be missing some parts lists for older sets. But don't let the truth get in the way of a good sausage fact! 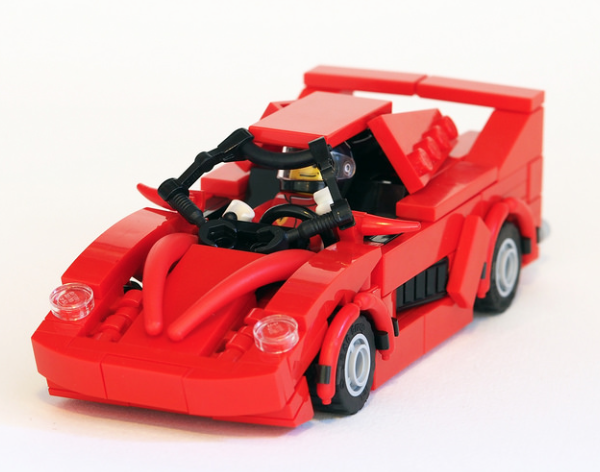 Particularly for older sets, the Brickset database only contains parts which TLG chose to make available as replacements for missing ones; they aren't inventories. 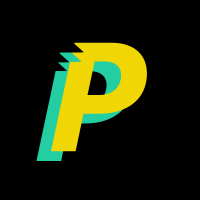 Even where a list for a particular set is available, it's often not complete. It looks like #60117 Van & Caravan might be the first 2016 set to include a sausage (a pair of them, no less). Hmmm, I seem to remember Double Decker Couch includes sausage. isn't TLG making a hot dog stand? looks like they thought of us. 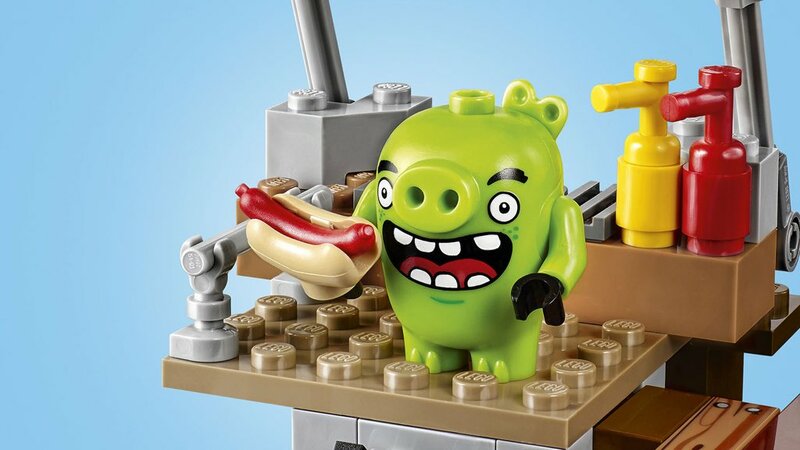 Minifigs will have another way to enjoy their sausages soon, there is a bun element in one of the upcoming Angry Birds set. Maybe we will see them used as ammo in Nexo Knights. Ultimate Clay uses bananas in his set. Does that mean it is a teeny weeny? 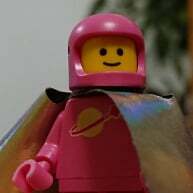 I nominate the LEGO Movie for best usage of the sausage element in storytelling. In the Old West, Emmit, Wyldstyle and Vitruvius make their getaway in the pig-powered vehicle. Of course it gets blown up sending the pigs and occupants into the air. Blink and you'll miss it, when the pigs hit the ground, they turn into sausages. It has already been said. And Deadpool also loves sausages. 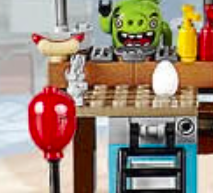 I'd like to imagine that this is a deliberate reference to the overabundance of sausage around the Lego universe. That would make me very happy. 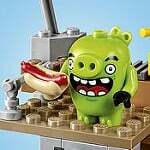 Sausages have now become, for me, the Lego equivalent of those pickled gherkins that used to be hidden in random places in Richard Scarry's artwork! DO IT!!! Seriously, I was chuckling rather hard at this porcine product-filled post! 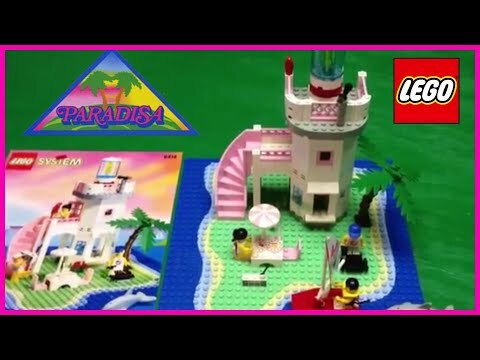 It is rare to find such continuous comedy about Lego (I attempted it in my epic farce, BORNICLE, years ago), so it should be front-paged to let the Internet know what we AFOLs truly care about when it comes to the world's greatest toy. So it turns out that Volkswagen sold more sausages than cars in 2015. Gah, you beat me to the VW sos factoid @paul_merton. I did have a joke about sausages, I won't tell it though, it's the wurst. I know I'm way late with this comment Sumo, but being where you hail from you should have arrived long ago at the conclusion that the nougat colored sausages are Zweigles White Hots!!! Well if sausages excite ya'll this much, check out the tip of the needles they package with Lego medical staff. The tip has a bellish head. Now...where can you stick that thing in? But forget the needle; that's a B-I-G syringe. Perhaps it's used for filling sausage skins. If everyone was eating those sausages, it's quite clear what kind of "emissions" problem VW was experiencing. Yes, that had occurred to me. But a bacon-wrapped Three Musketeers bar sounded funnier. I'm a bigger fan of the foot-long Ted's Hotdogs with some wings from Duff's. After a nice little holiday, it was a pleasant surprise to see some of these facts oozing out onto the front page of the main site! 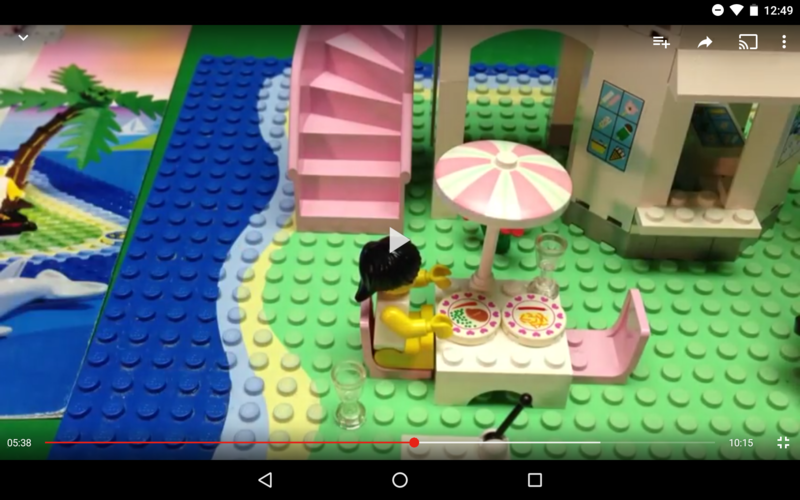 Lest you were also on holiday and nearly missed it: http://brickset.com/article/19694/hot-dogs! Is there a sausage sticker I can complain about? 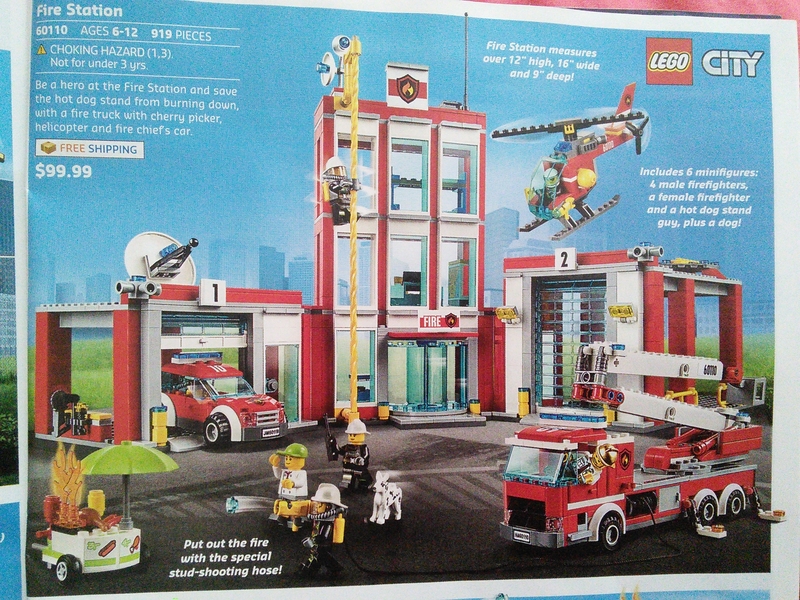 ^ Your dream set of a fire station with helicopter and helipad and sausages comes along and you still want to complain? Another sausage fire! 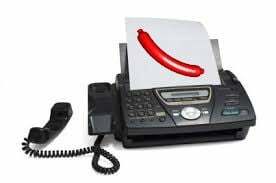 It must be a hot link. 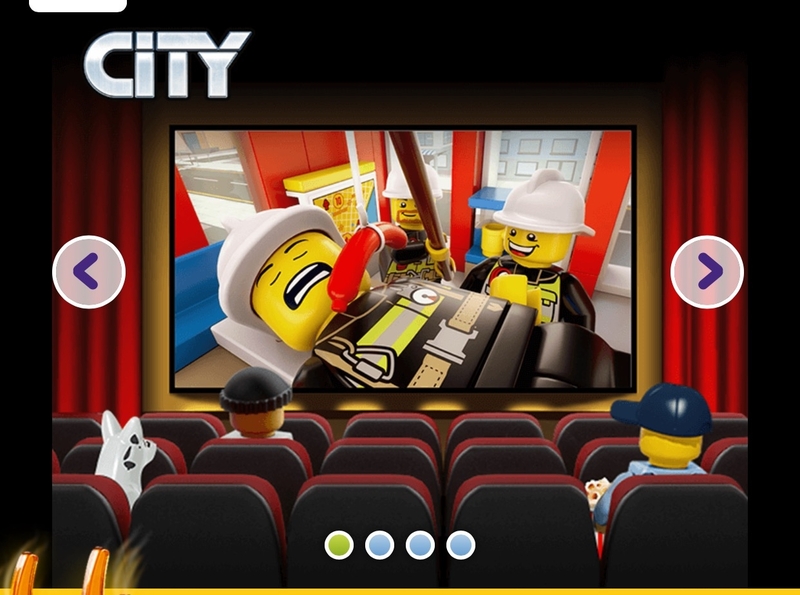 There really needs to be a serious prohibition on grills in Lego City. You can't do that - there wouldn't be a need for a fire department, and that's big business for TLG. There seem to be lots of petroleum fires. 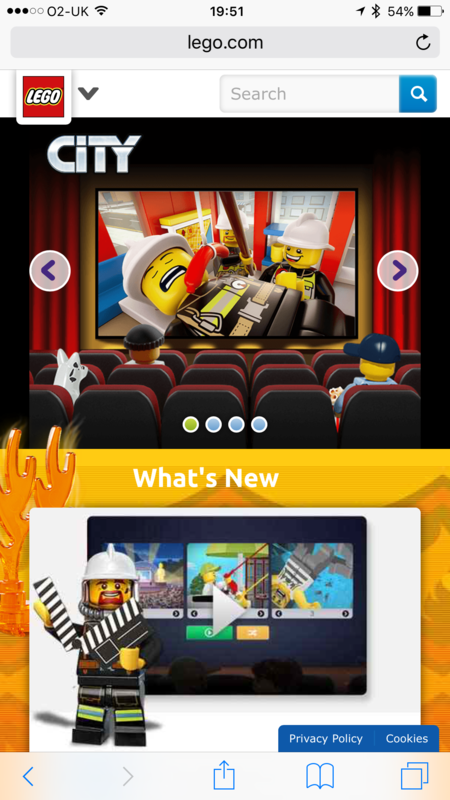 For the next 4 weeks, every page on Brickset will have a sausage at the top! 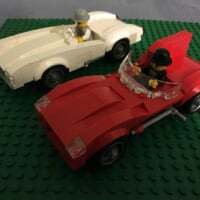 http://brickset.com/article/20065/brickset-banner-competition-results.